Online Roulette Bonuses or Betting Shop Roulette Machines? News 3 Roulette Games at Betfred Casino You Need to Spin! 3 Roulette Games at Betfred Casino You Need to Spin! High Street roulette games are commonplace nowadays. Walk into any betting shop and you’re quite likely to find at least one machine offering bookies roulette for you to try. While these machines offer an exciting experience, they’re not as convenient for players as online roulette can be. Betfred Online Roulette Offer – Get deposit bonuses worth up to £200 if you play for real money! Betfred is well-known in the High Street, but they’ve got a website available too. This has a variety of games available, including several versions of roulette. The games are powered by Playtech software – a key player in the online gaming industry. If you’ve never tried playing roulette online before, maybe the following information will inspire you to have a go. What are the benefits of online roulette compared to betting shop roulette machines? Convenience is one of the key elements to consider when it comes to online roulette games. You don’t have to go to your local bookies when you feel like playing a game, for example. You’ve also got the freedom to play on your desktop computer, a tablet or a smart phone. When we say you have the freedom to play, we really do mean it. You can literally have roulette in your pocket, to try whenever you want to. Aside from this, many online roulette machines offer a demo mode. As such, it doesn’t matter if you’ve never played roulette before. You can see how it works, not just by reading the game instructions, but by actually giving it a go. You’re not in danger of losing any money as you’re playing with fun money. Everything else is just the same, enabling you to get the full experience. If you’ve played betting shop roulette machines before and you’ve never tried online machines, this could be your opportunity to give them a go. All these games are played in pretty much the same way. Some are played according to European rules and others use American rules, so make sure you read the information given for each game so you know where you stand. That’s another great thing about playing betting shop roulette games online – you can easily access help screens and additional information whenever you like. The three best roulette games at Betfred Casino all require you to choose your chip value before you place your bets. The amounts may vary depending on the game, but there are always options for those with smaller budgets. The great thing about roulette is you can wager more than one chip on a single spin. There is a good variety of bets to choose from as well. The amount you could win will depend on the bets you place. For example, if you choose red and the ball lands on a red number, you won’t get as much as you would for betting on number 19 and having the ball land on that number. The odds of getting the right result will vary, and therefore so will the prizes. You can bet odds or evens, red or black, the first, second or third set of 12 numbers, and of course individual numbers as well. This is the first of the Betfred roulette games we’ll look at, and it looks great on a mobile device. Just tap the relevant areas of the screen as you go, and move from the table to the roulette wheel whenever required. There’s no music, but that can be a bit grating anyway. You can play with no sound if you like, but the effects are pretty good and add to the thrill of the game. You’ll hear the roulette ball spinning around the wheel, for instance, and the croupier then announces the result and tells you if you’ve won. While the above game is shown on a landscape screen, this version requires a bit of scrolling to see everything. Your coin options, clear options and spin command are at the bottom of the screen, directly beneath the roulette table itself. The wheel is at the top, but when you place your bets and spin the ball on the wheel, you are automatically taken to the wheel. There you can see whether you have won or not. The game uses European rules, and we’d say this one is good for beginners, as the table and options for betting are very easy to see and understand. 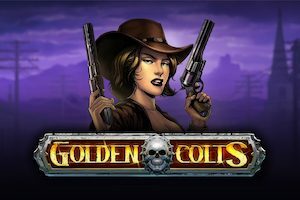 This is a great game to try if you want something a little different to the usual 2D roulette games you will see online. 3D roulette makes the entire table and wheel pop out; indeed, the graphics are exceptionally good here. (This is our favourite of the three games we’ve mentioned here. It does make you feel as if the game is more immediate, as if you are right there in the casino.) You’ve got your chip values at the bottom of the screen, the betting options laid out above that, and finally the roulette wheel is provided above that. This game really draws you in, and it feels more exciting as a result. These games all have something different to offer. Some may offer different betting types as well, such as corner bets and neighbours bets in the case of 3D Roulette. There is no clear winner out of the three games mentioned above. It’s more a case of choosing the game that works best for you. Some allow for smaller starting bets than others for example – and that’s ideal if you are going to place more than one bet per spin to maximise your chances of winning. If you want to try your luck with online roulette games, there can be no better place to go than Betfred. We’ve touched on just three games above, but you’ve also got plenty of other choices. Including live roulette, pinball roulette and even Marvel roulette (yes, based on Marvel characters to liven things up!). Playing roulette machines online, whether on your computer or your mobile device, just got more interesting!